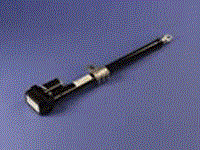 Electromechanical Linear Actuators - Venture Mfg. Co. Linear motion plays a critical role in various industrial processes such as packaging, factory automation, and medical device manufacturing. 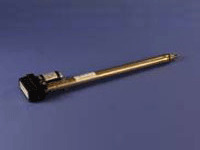 These and other processes require the use of linear actuators that can provide clean operation, motion and force control, adequate energy consumption, and reasonable pricing. Venture Mfg. Co. meets all these requirements and more with its range of electromechanical linear actuators USA. Venture Mfg. 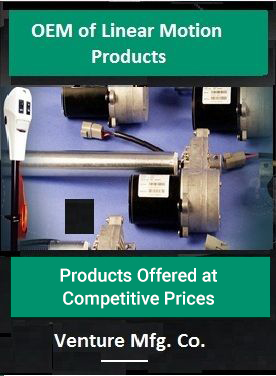 Co. can meet all industrial application demands with electro mechanical actuators. 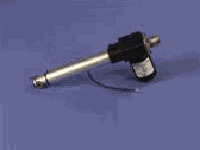 These actuator types are designed to adhere to the regulations laid down in RoHS and IP6. Compact Electro mechanical linear actuators provide significant advantages in more complex applications because they provide the engineer with complete control over the motion profile. Many actuators have integral encoders that can be used to accurately control velocity and position. Others also give you the ability to control and monitor torque and therefore applied force. Electromechanical actuation systems are programmable so the force and motion profile can be changed in software without having to shut down and reconfigure the machine. Actuators are faster and more predictable with electromechanical actuation we have more controllability because we can vary the speed and the entire move profile. This has resulted in higher part quality and fewer rejections. The increased controllability of electromechanical actuators can often be used to eliminate the need for changeover when switching from one product to another. The resulting time savings can be substantial in packaging applications where numerous package sizes may run in a single shift. An engineer for a packaging company recently said: “Most of our applications are pneumatic but we are moving towards electromechanical because we find them more reliable and more controllable. Changeover times are the name of the game in packaging. If you can reduce those then we will pay for it. industrial Electro mechanical actuators, on other hand, offer considerable energy savings in the majority of applications because they use power only when they are performing work. The ball and roller screws used in electro mechanical actuators offers high levels of efficiency typically in the range of 90%. Clean operation Linear actuators are being used more frequently in applications that require clean operation such as in the food, beverage, packaging, medical and electronics manufacturing industries. Electro mechanical actuators, on the other hand, have considerably less impact on the environment and are strongly preferred for applications where clean operation is important. Noise reduction in the workplace is also a factor in many applications. Electromechanical systems have a strong advantage in this area. On the other hand, venture electro mechanical actuators are usually less expensive in applications where fluid power is not available or where fluid power is in use but additional capacity must be put in to handle the new axis. Actuators also reduce the complexity of the design process because they are easier to specify and design than pneumatic or hydraulic actuators. 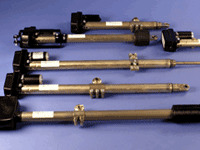 Actuators driven by an electric motor. Venture’s linear actuators are designed to meet the changing needs of machines, as they are designed to become more precise in operation, safe and sophisticated. The actuators are designed with numerous features that can support industrial equipment. One of the biggest factors for the popularity of electromechanical linear actuators are reliability, control, and less downtime. 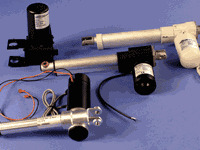 Venture is in a strong position to meet all these requirements and provide the actuators in a range of specifications. The actuator type, which is available with 24V motor, can be customized according to desired stroke sizes, force, speed, dimensions, mounting holes, wiring and more. Stroke Range: 2 to 12 inches (custom lengths available) . Duty Cycle: 20% (1 on / 4 off). Feedback: Potentiometer or Hall Effect. Load Rating: Up to 200 lbs. (compression and tension). Speed: 0.23 to 2.2 inches per second . The following are the various benefits that can be accrued when choosing our reliable electro mechanical linear actuators. Electromechanical actuation systems are programmable so the force and motion profile can be changed in software without having to shut down and reconfigure the machine. With electromechanical actuation we have more controllability because we can vary the speed and the entire move profile. This has resulted in higher part quality and fewer rejections. Offer considerable energy savings because they use power only when they are performing work. The ball and roller screws used in actuators offers high levels of efficiency typically in the range of 90%. Less impact on the environment and are strongly preferred for applications where clean operation is important. Rreduce the complexity of the design process because they are easier to specify and design.